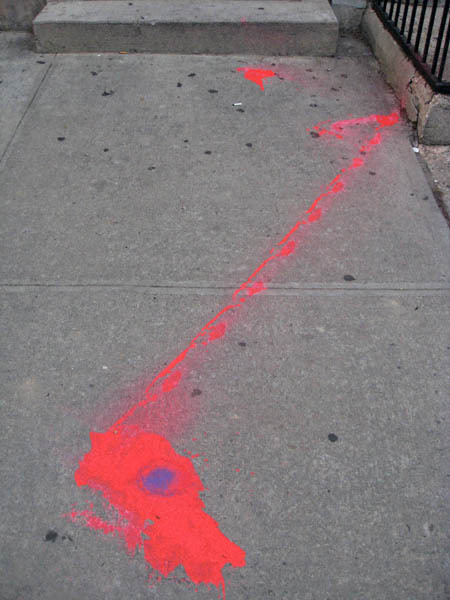 Many will attest that Greenpoint has a vibrant artistic community. Hell, even our local MRI office is looking for artists to liven up their premises. 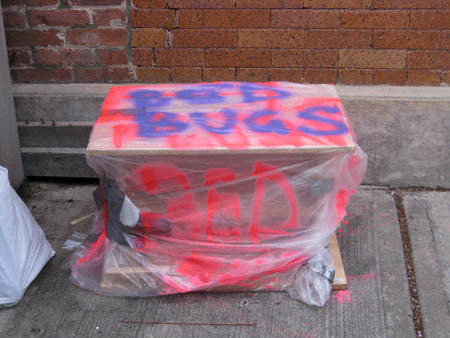 Therefore it came as little surprise to yours truly when I discovered someone on Clay Street elected to warn his (or her) neighbors of bedbug infested material in a manner that is both informative and visually engaging. 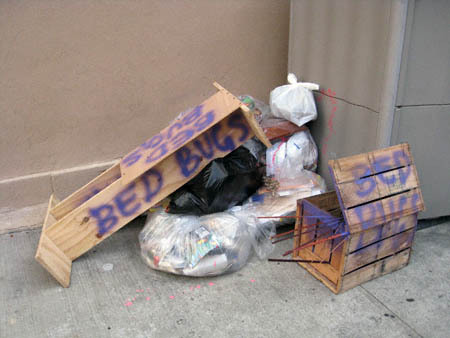 This may very well be the harbinger of a new art movement: Bedbug Expressionism a la Christo! Is it just my art education talking or does this have a certain Jackson Pollock-esque je nais sais quoi?